HURON, S.D.- The Nordby Exhibit Hall for 4-H, Youth and Community will be dedicated during a ceremony Sunday, Sept. 4, at 4 p.m. during the 2016 South Dakota State Fair. During this year’s state fair, taking place Sept. 1-5, 4-H display exhibits will be located in the new exhibit hall, along with many of the public speaking activities. The 4-H staff headquarters for the week will be located in the building as well. The South Dakota State Fair Foundation welcomes fairgoers to take a look at the new building and visit the information table in the lobby. To date, nearly 1,000 donors have teamed up to raise more than $4.37 million of the building’s $4.7 million goal. Opportunities to donate are still available. Any donation of $1,000 toward the capital campaign is recognized with an engraved Sioux quartzite paver brick located permanently in the new exhibit hall. Gifts can be made over a three-year period and gifts of any size are welcome as they contribute to reaching the capital campaign goal. 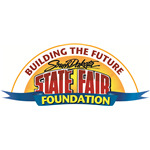 Those interested in supporting the capital campaign are invited to contact the State Fair Foundation at 605.553.4251 or visit www.sdstatefairfoundation.com. The exhibit hall’s construction began the summer of 2015. The 48,000 square-foot structure features more than 30,000 square feet of exhibit space, multiple classrooms and a large kitchen/concessions area. The facility will be utilized year-round for 4-H events such as learning activities, meetings and competitions. In addition, community and regional events will take place in this building year-round. The facility will host conventions, trade shows, receptions and other gatherings throughout the year, bringing in thousands in-state and out-of-state visitors in addition to the many attendees the week of the state fair. 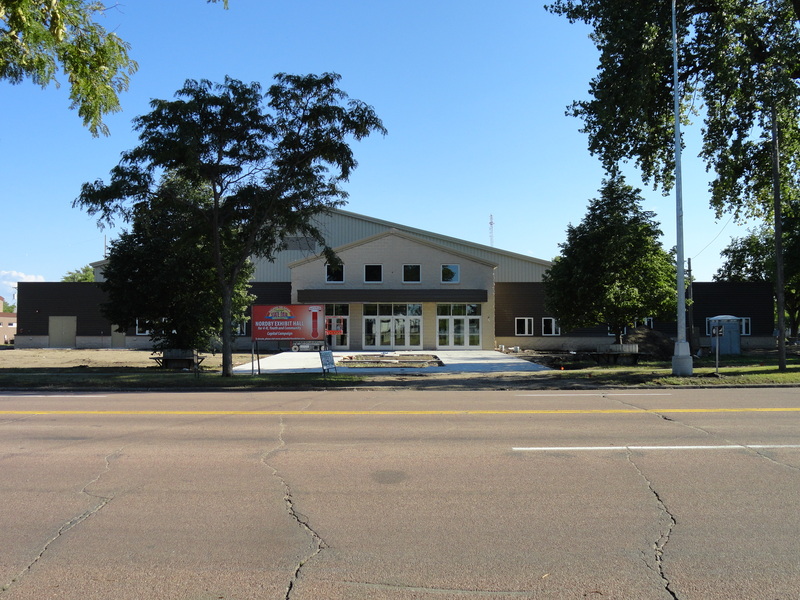 A current photo of the Nordby Exhibit Hall for 4-H, Youth and Community can be downloaded via this link.